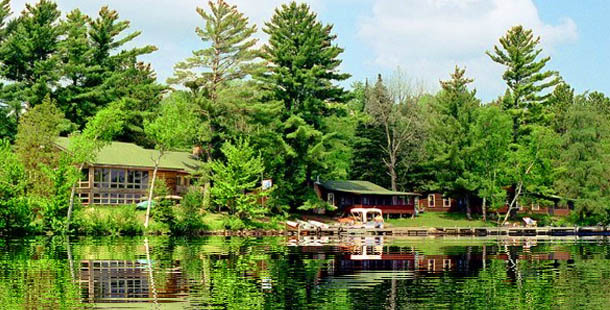 NORTHLAND LODGE is just the right size and is situated on Lost Land Lake in Northern Wisconsin. We are large enough to offer lakeside vacation log cabins & homes spaced for privacy or an escape on our private nature trail. 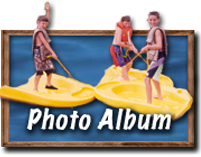 We have facilities and activities for the entire family and a full, friendly staff to serve you. We are also small enough to know and enjoy our guests, offer personalized service, and delight in continually enhancing our family resort for our guests who return year after year to their Northland vacation home. 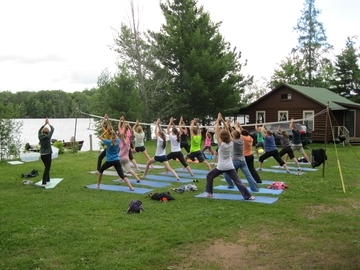 Enjoy complimentary Yoga exercises with a Registered Yoga Teacher. 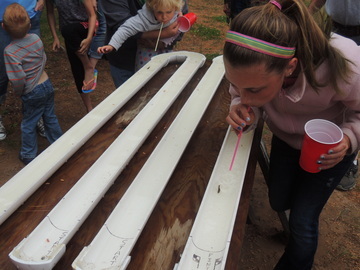 Join other enthusiastic competitors in a delightful Minnow Race! Experience a unique northwoods getaway family vacation in a remodeled “country” decorated log home only steps from a quiet lake. 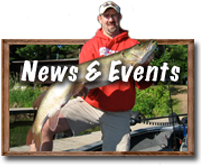 Enjoy fishing for musky, bass, walleye, blue gill, crappie, and northern in a fisherman’s sanctuary Class A musky lake. 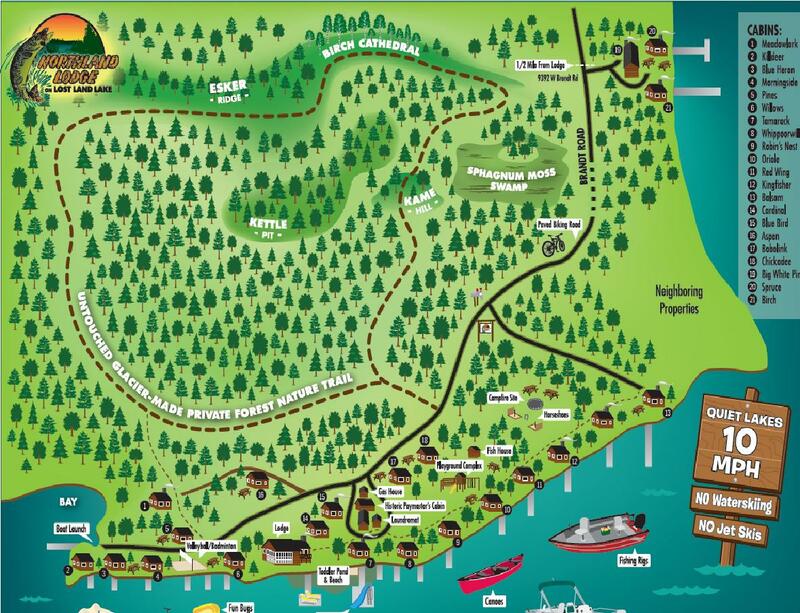 Many activities abound on Lost Land Lake & at Northland lodge, canoe a scenic waterway; picnic on an eagles’ nest island; walk a private nature trail; bike forest roads; golf a scenic, wooded golf course accessible by water. Feel the camaraderie in Northland’s centrally located, air conditioned lodge with a fireplace and game room where you can enjoy a cocktail on our sundeck overlooking sparkling waters or by the crackling fireside, the magic of a sing-along show, and warm, friendly service.